Russian strategic bombers have conducted strikes on ISIS targets in Syria, using modern Kh-101 strategic cruise missiles. Several weapon stockpiles and a terrorist command center were destroyed in the strike. 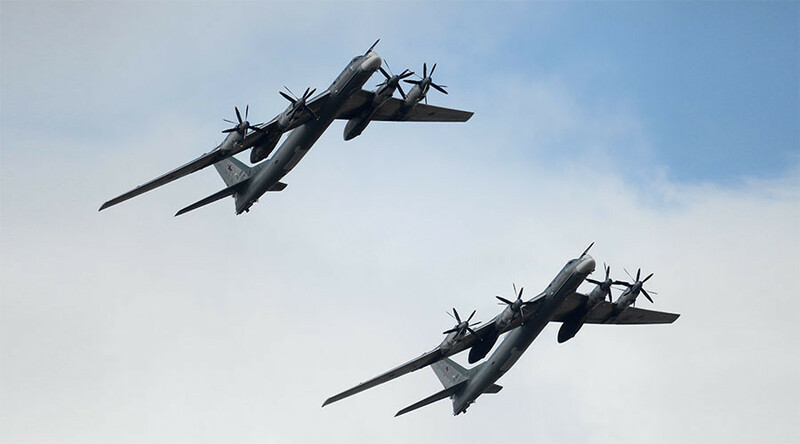 Russian Air Force Tu-95MS strategic bombers have conducted strikes on Islamic State (IS, formerly ISIS/ISIL) positions near the border of Syrian Hama and Homs provinces on Wednesday, the Russian military said in a statement. “Three large weapon and ammunition stockpiles alongside with a command center near the town of Akerbat were destroyed in the strike, which was confirmed by objective control measures,” the statement reads. The newest Russian Kh-101 airborne strategic missiles were used in the strike. While the effective range of the missiles is up to 4,500km, the strikes were conducted from a range of around 1,000km. Missiles of this type can be fitted with nuclear warheads, after which they receive the Kh-102 designation. The Tu-95MS bombers took off from an airbase near the southern Russian city of Engels and made their way to Syria after airborne refueling. Su-30SM fighter aircrafts, based at the Khmeimim Air Base in Syria, provided support and cover to the strategic bombers. All aircraft have returned to their bases after successfully completing the mission, according to the Russian military. Kh-101 cruise missiles have seen combat usage for the very first time during the Russian air campaign in Syria, which began in late September 2015. While the main air group, consisting of fighters and close air support vehicles, is stationed at Syria’s Khmeimim airbase, Russia’s long-range aviation and fleet have supported it with missile strikes on the high-priority targets. A previous airborne cruise missile strike on Islamic State (IS, formerly ISIS/ISIL) was conducted by Russian Tu-95MS strategic bombers February 17. In January, Russia dispatched long-range bombers to Syria. On January 21, six supersonic Tupolev Tu-22M3 bombers conducted airstrikes against IS targets in the Syrian governorate of Deir ez-Zor. 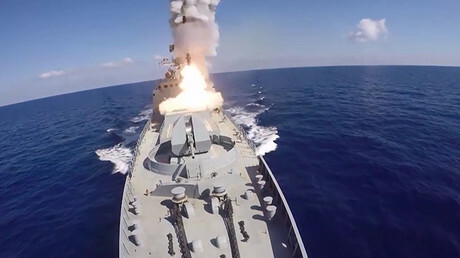 The Russian aircraft hit IS training camps, weapons and ammunition stockpiles, and armored vehicles.